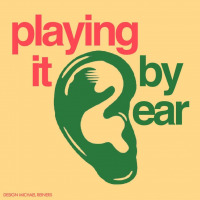 Come and watch the recording of Cambridge's first ever radio comedy panel-show: Playing it By Ear! We’re point-scoring and playing games such as: spoonerism charades, a cooking lesson for abstract concepts (how to bake hope, how to boil a pan of consumerism) and an MI6 panel interview. We will be recording a double-bill of 30-minute shows back to back. There will be fun audience participation so bring your wits and giggles.